Spending years shooting behind the scenes, on tours, at festivals and sometimes straight up in the middle of nowhere, I definitely have an abundance of stories, wild moments and random run-ins with some pretty amazing people. There’s also the blurry outtakes and the days that melt into each other as one massive picaresque year. But, I still think of this one moment all the time. 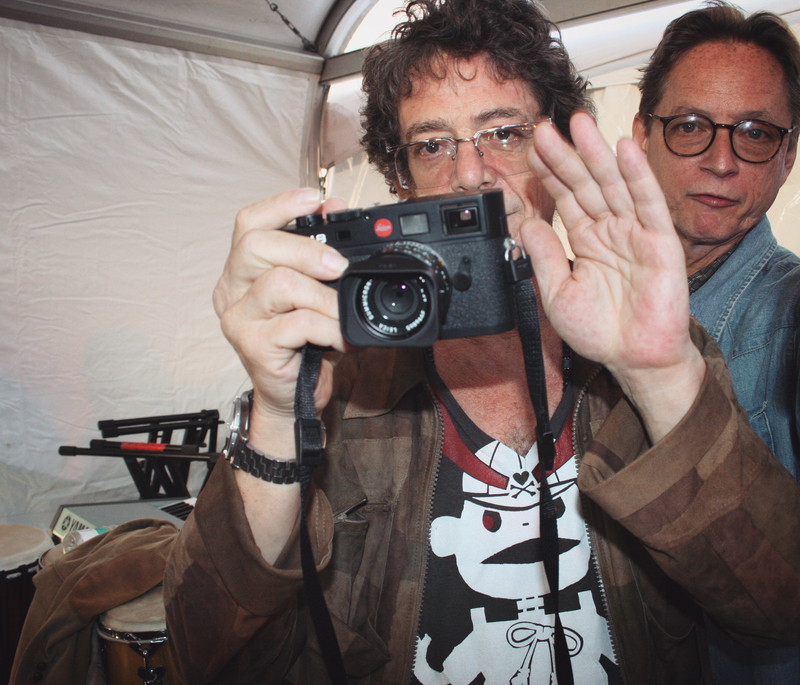 I was shooting photos in Austin during SXSW in 2008, and suddenly realized I was standing next to Lou Reed. I didn’t even really find it strange; just sort of “Oh, hey there, Lou”. Next thing I know, we were taking photos of each other. We didn’t even really exchange words; it was just this quiet and humbling moment…taking photos of Lou Reed, taking photos of me. It’s crazy to believe this was almost ten years ago; and those ten minutes with him were surreal yet somehow simple and kindred. Lou Reed passed away four years ago today. Cheers to this magical rock n’ roller — I’m definitely going to burn through Transformer all afternoon. All images © 2019 Ellei Johndro/Shadowscene. Images may not be reproduced without expressed written permission.